Aussie angler Dr. Gary Justin Post recently put New Caledonia “on the map” for every inshore angler in search of trophy bonefish after landing an incredible 16-pounds 8-ounces bone while fishing Boat Pass Flats. New contenders for freshwater and saltwater record titles have captured our attention for the October edition of IGFA Hot Catches. Hailing from waters in Angola, Australia, New Zealand, Slovenia, and California, the Florida Keys, and Maryland, anglers are waiting to find out whether the bar will be set just a little higher for world records on these species. 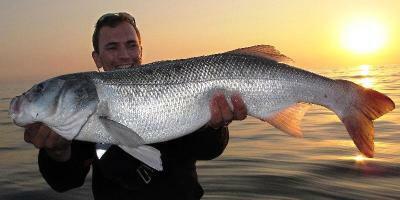 in the IGFA’s Hot Catches for October 2013. Atlantic blue marlin, bonefish, African threadfin, and more caught in Angola, the Azores, France, New Zealand, New Caledonia, Papua New Guinea, and California and New Jersey in the United States are now undergoing review.